Residents return to flood-damaged homes in Miss. 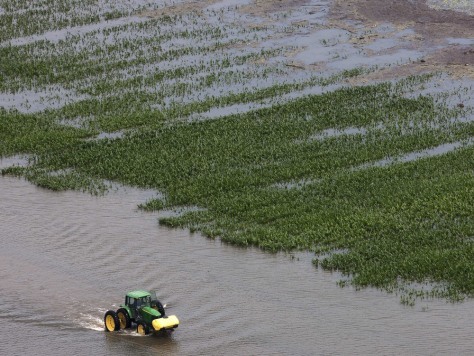 A farmer drives his tractor past a flooded field of corn near Yazoo City, Miss. on Saturday.